A new privilege is now available at the airports in Las Vegas, San Francisco, Denver and 13 other cities in the United States, and more opportunities are on the way. You can now buy the right to cut the security lines. Some people might call this bribery; I know I do. This shortcut isn’t for everyone, naturally. It’s off-limits to anyone with a criminal history, and you must be willing to have your fingertips scanned or the pupils of your eyes photographed. But it allows you to avoid the time and hassle of waiting in long lines to have your boarding pass and identification checked by the Transportation Security Administration people, although you still have to take off your belt and shoes and remove your laptop. But for a bribe of $179 per year, paid to a company called CLEAR, you can cut in front of the hoi polloi who were slogging through the endless line when you got there, and go directly to be scanned. Yes, this is a government-sanctioned service. Notoriously corrupt, underdeveloped Third World countries have nothing on us. Chatting with an employee of the company in Denver, I was told that the proceeds will be split between the company and the TSA. Or maybe it was the airport; I’m not sure. But whoever gets the money, it’s just plain wrong. After all, these are public enterprises selling private privileges. I understand the concept of paying extra for enhanced service, and I have no problem with it. On planes, first-class travelers sprawl, taking up as much space as Wyoming, while those of us in economy get to inspect the skin pores of people in adjacent seats. And at a restaurant, you can buy a cheap glass of wine that smells like nail polish or splurge on one with the kind of fragrance that will have your date starry-eyed. We all understand that such things have a price. But going through security is not an elective. This is a federal requirement. There should be no opportunity for somebody to be able to cut the line. Bribery shouldn’t be flagrantly promoted. Something of the same sort occurs at ski areas. Nearly all of the ski areas across the West are on public land, operating under permits from the U.S. Forest Service. The Forest Service thinks of itself as a partner with private companies in providing public recreation. As such, the private companies are allowed to charge for various services. The key charge is for being transported uphill. I’m OK with that, and with $12 hamburgers, for that matter, and $300 per day ski instructors. You’re still free to throw a bologna sandwich in your pack, and you can teach yourself to ski. But not all customers are equal. At some ski areas, for an added fee, you can get first dibs on untracked powder in the morning, before the regular lift service starts. The Forest Service and its partners provide access to recreation, but those with more money get more access. Then there’s the custom of cutting lift lines. Ski instructors commonly go to the front of the line and politely inquire if they and their customers can cut in. But there’s an underlying economic component. People pay handsomely for ski instructors to teach them how to ski better and select appropriate terrain. But for many customers, the ski instructor’s key value lies in not having to wait in line. This is the equivalent of cutting to the front of the lunch line in middle school, even if it’s done more politely. If ski areas were barely meeting payroll, you could argue that selling these special privileges was justified. But most ski areas are extremely profitable. So what is the rationale for offering such preferential treatment to people with deep pockets? Some people see tolled highway express lanes in the same way. If you want to avoid the creepy-crawling congestion in the other lanes, you can hop into the express line and scoot along — for an added cost. I think this is different, though. Because we refuse to raise gas taxes, the express lanes provide a way of paying to fill the potholes in the many roads that all of us use. In a bizarre way, resentment of this kind of privilege was a common theme overlapping the political campaigns of both Donald Trump and Bernie Sanders. (That might be the nicest thing I can find to say about Donald Trump.) They came at it from different angles, though. Each tapped a sense of dissatisfaction with various systems – including political parties – that are often perceived as rigged. Petty bribery in less-developed nations seems to be a way of life. There, they do it with a wink as cash passes under the table. Here, it’s something that’s advertised. 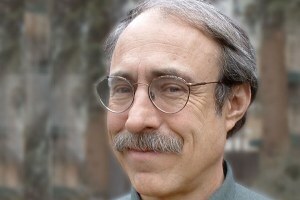 Allen Best is a contributor to Writers on the Range, the opinion service of High Country News. He writes in the Denver area.